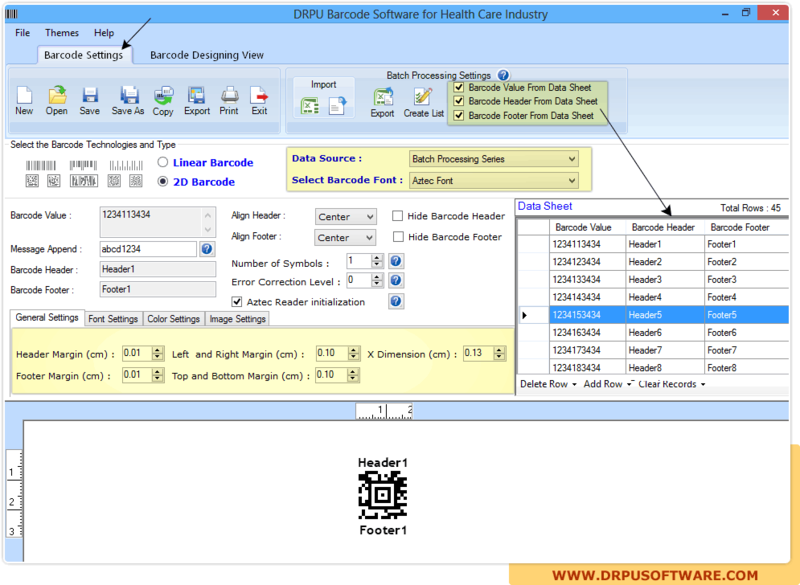 Go to the Barcode Settings and choose 'Batch Processing Settings' to print your designed barcode labels using Barcode Value, Header and Footer. 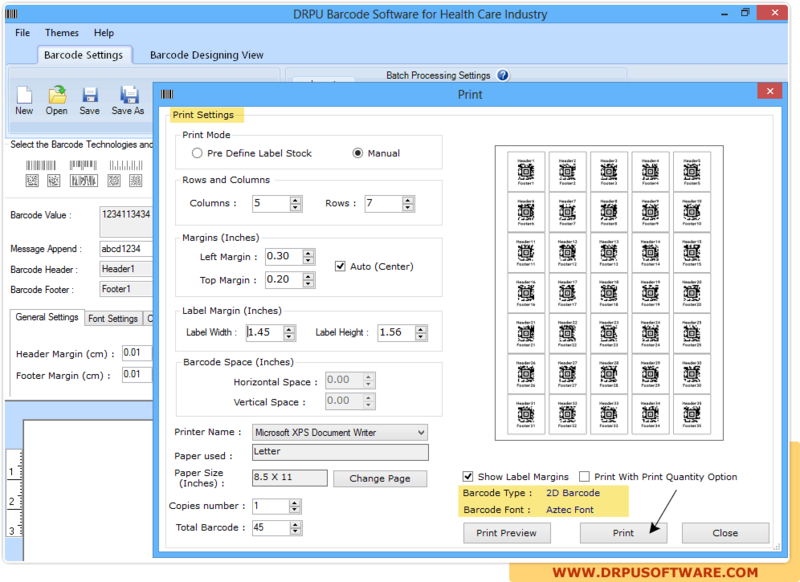 To print your generated barcode labels, select Print Settings Options either 'Pre define Label Stock' or 'Manual'. You can also see print preview of your designed barcode labels before printing using 'Print Preview' option as shown in above screenshot.